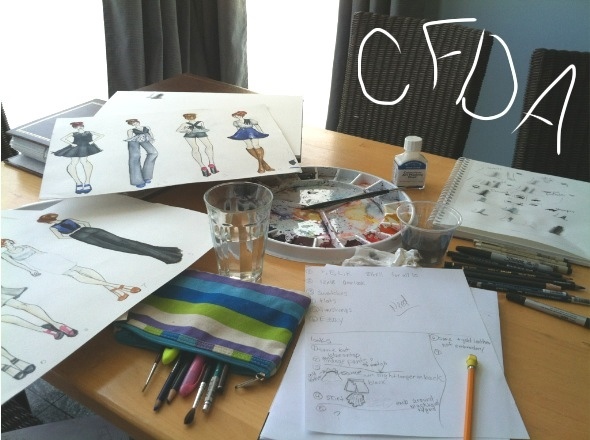 I took today and tomorrow off of work so I could finally get going (again) on my cfda project. I decided after some floundering, my designs just needed an edge not a total scrapping. Mostly for my sanity & time management. Here's where I stand at this very moment!